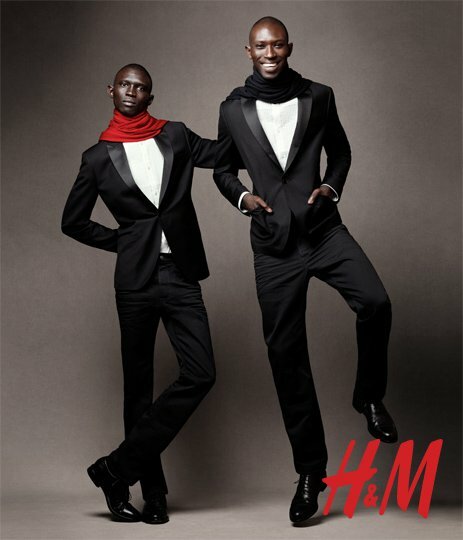 John William: Well Done H&M! It's the season of Starbucks in red cups and wrapping up like pigs in blankets, and perhaps it's some seasonal cheer subconsciously rubbing off on me but the other day stood in the freezing cold I felt a thaw in my heart and smile crack my lips when the Number 55 zoomed past. I double checked myself - am I going mad? Was I seriously grinning because of a H&M ADVERT!?? Let's start this by saying I am not and never have been a fan of this scourge of the high street. No- they have not sent me anything like a bloggers bribe, and no I wasn't even fussed by the recent Lanvin debacle (no, not even by those metallic shoes: they were totally the wrong shape.) I have not shopped in H&M since I was 15 and just walking past it's acrylic loaded, badly dressed windows makes me shudder. Yet here I was looking like a pleb smiling about their Christmas campaign. I think it's the first truly diverse piece of advertising the brand have ever released. It's actually the most diverse advertising I have seen from any of the high street monsters, ever. Not just in ethnicity, but in age and to a small extent, body type. Sure it could be much more diverse in regards to size, and I would be even happier to see that, but baby steps. There's no feeling of cramming the token black at the end of the line up, which is the high street's usual nod to diversifying. There's skin of all colours lit really beautifully and looking radiant. There are mothers on display with their kids (granted- Stella Tennant is no ordinary mum, but it's still refreshing to see a woman portrayed as a mother when flogging clothing for the masses; rather than the usual vacant 15 year old.) There are some wrinkles and pores on show and the darkest skin doesn't look at all flat. It's just so well done. I can't find who shot it - any help on that would be appreciated. It looks very Inez and Vinoodh-esque (the Lanvin imagery the pair created was surely on the mood boards.) I couldn't give a toss about the clothes but even they don't look too horrif.